People often say that you should travel whilst you are young, before you have any major responsibilities. 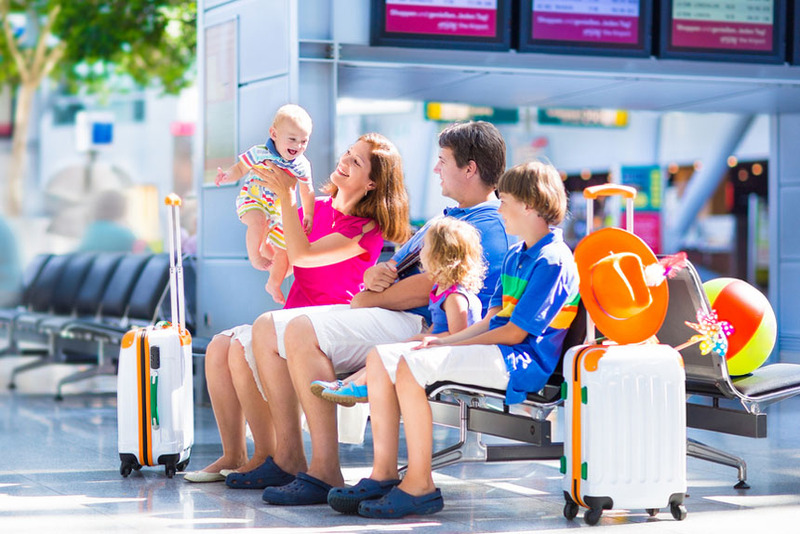 There is perhaps no bigger responsibility than having a child, so does this mean that travel and children don’t mix? No. This is simply not true. Sure, there are many places and events that would not be suitable for children; you might not take your newborn to the bull run in Spain. Travel with children is still possible, and often requires the same fundamentals as good parenting back home. A regard for the child’s health, and responsibility on your part are the key components to safe travel with children. Don’t plan to travel to a very dangerous country; one that is politically unstable, or is experiencing war, or internal uprising. Sure you can still travel with a child, but don’t put the child’s life at risk by taking it to places that are not safe. Extreme climates are also not a clever idea, so perhaps refrain from taking your 2 year old to the Sahara, the Arctic, or the Amazon Rainforest. Get your child a medical check before going; Generally it will always be more difficult to get medical problems sorted abroad. Adults tend to be hardy and more aware of health problems than children. Even a mild illness will need to be dealt with when it comes to your child, so best to get a medical check before going to make sure everything is in order with their health. Immunizations; Again this is something that you will need to do yourself anyway in most cases, but something that is even more important for a child, especially a very young one. Make sure your child has had all the appropriate vaccinations. Medicine; You will need all of your child’s usual medicine, inhalers, and any other medical needs that should be taken care of. If visiting a malaria ridden country, or any additional medicine is required, this should be stocked up on. On a Plane; Air travel is generally not dangerous for children, unless they are very young. Very small children are at increased risk of infection due to the air that gets recirculated during flights. It may be best to wait a year or so as apposed to flying with a newborn. Often children get ear ache when taking off and landing but this can be eased with food, drink, chewing gum and sucking lollipops, so they shouldn’t be complaining too much. A top tip is to try and book an online flight which coincides with your child’s normal sleeping pattern, and to book with an airline that caters well for children. In the Car; Obviously all of the same car safety rules also apply when going on holiday or traveling; seat belts, car-seats where appropriate, and safe driving. For long distance driving with children it is important to take many breaks for the toilet and to help prevent car sickness which is more prevalent in young children. If children are car sick they should try to look out of the window rather than down at a toy or book. Public Transport; In most cases, and most countries, public transport is likely to be suitable for children. In some cultures however, some of the more obscure transport is pretty dodgy, and it might be irresponsible to put your child on a tuck-tuck in India for example, or to cram them on an overcrowded bus for 48 hours. Dress your child in bright clothes; If your child is at that age where they can run around and explore, consider dressing them in bright clothes that are easily recognizable. This will make it easier to keep an eye out, whilst giving them a little freedom. Make sure they know where the hotel is; Also give them a plan of action if they are ever separated from you. They should know who they can go to, and where they can get help if they feel lost or scared. Laying this out with your child early on in the trip will help you both to feel comfortable. Share responsibility; If you travel with friends who also have children, take turns to look after them when you go out for the night. Be wary around danger; Wherever there is a cliff edge, sharp piece of metal sticking out of the ground, or fence to climb, your child will likely be there to mess around. It’s going to take a sharp and responsible mind to keep that constant eye out in these sorts of situations. Child’s health; Remember being in a new place is challenging for anyone, and could be overwhelming for your child. On top of this new foods, different water, and a different climate can all affect your child. Make sure you monitor how they are responding to the food, keep them sheltered from extreme heat, and make sure they only drink clean water. Be responsible! Okay, so traveling with children comes with extra responsibility. Just because you are on an adventure doesn’t mean your child takes the back seat. The child is always still a priority, and the responsibility of good parenting is even more important in a foreign country. Still, it is possible, and can be very enjoyable to travel with your child, and to give them a childhood they will always remember.